The transition from a “rickety tumble down building to this magnificent stone structure, the pride of the west, standing high on Capitol Hill and overlooking the whole city of Omaha” began in 1901 and was completed in 1912. Renovations have taken place since that time, but a student who attended Central during the building’s early years would immediately recognize it today. Designed by John Latenser, one of Omaha’s foremost architects of the era, Central High School’s home was added to the National Register of Historic Places in 1979. 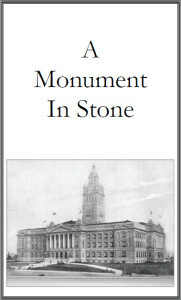 Click here to download A Monument In Stone.